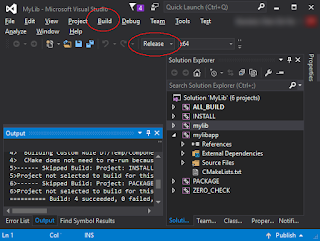 CMake can be used to create a Windows installer with CPack and NSIS (Nullsoft Scriptable Install System). NSIS can be downloaded from http://nsis.sourceforge.net. 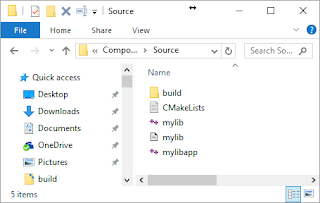 This post follows and extends the tutorial from the CMake Wiki at https://cmake.org/Wiki/CMake:Component_Install_With_CPack. 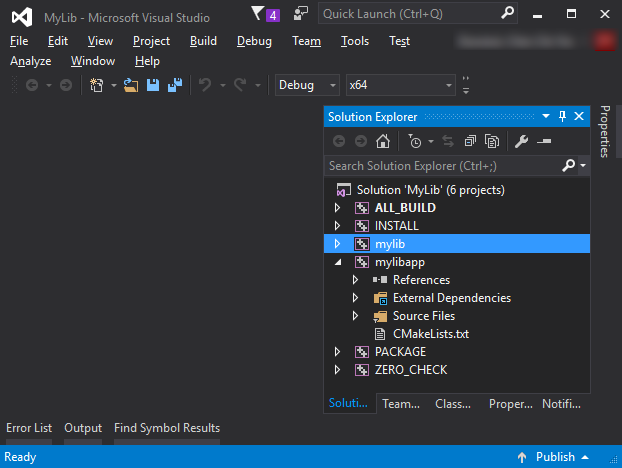 I wanted to build a Windows installer for a 64 bit Visual Studio application that was build-managed using CMake. 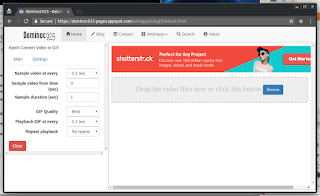 This post makes use of the example source code downloadable from https://cmake.org/Wiki/File:ComponentExampleStart.zip. Download and extract the example zip file into a folder e.g. 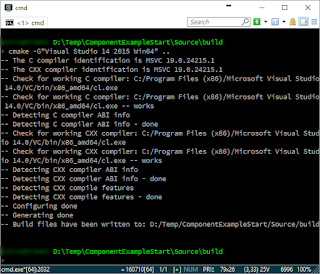 D:\Temp\ComponentExampleStart\ as shown below. 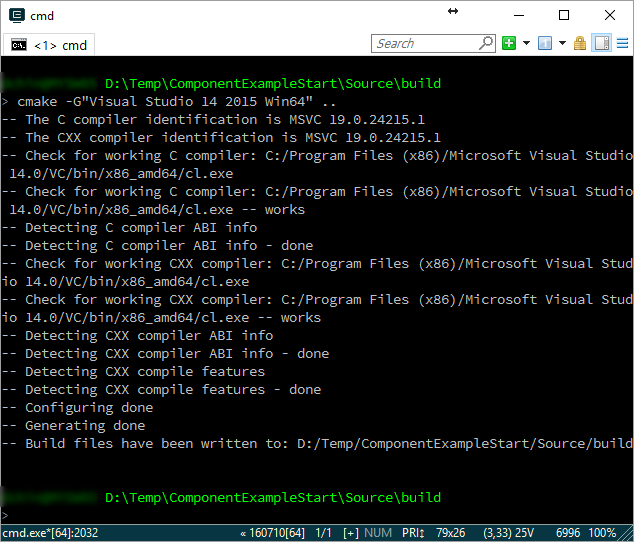 I then created a build sub-folder build underneath the D:\Temp\ComponentExampleStart\Source\ folder. Use a text editor and edit the CMakeLists.txt file to add in CPACK macros according to the Wiki. An edited example is shown below. Open up a Command Prompt. Change to the build directory. 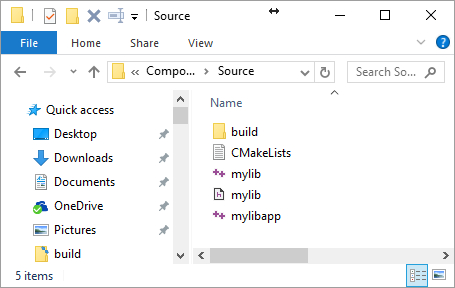 Use the cmake command to generate the build files. 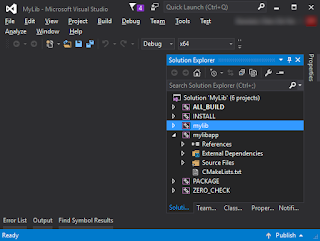 D:> cmake -G "Visual Studio 14 2015 Win64" .. The build files are generated. 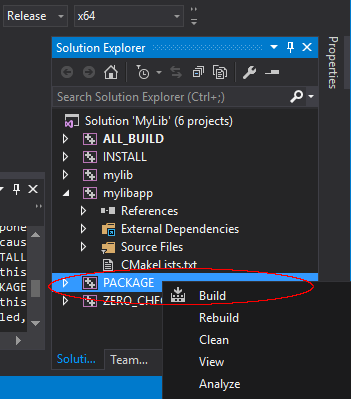 Using Visual Studio, open up the generated solution e.g. MyLib.sln. 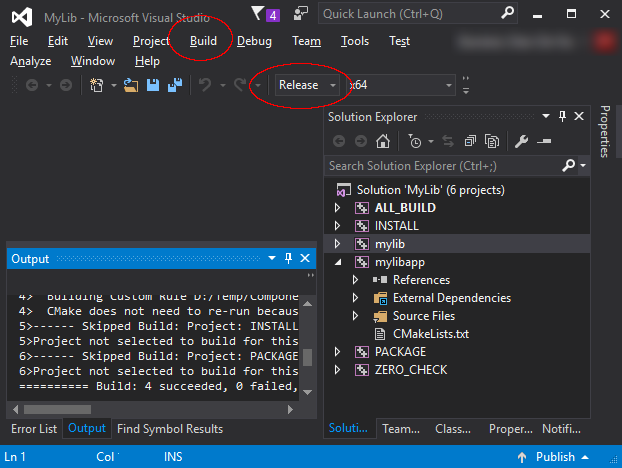 Since I wanted a release build, in Visual Studio I changed from Debug to Release, as shown below. Then I selected Build. The release binaries are generated. 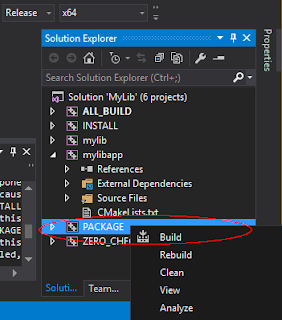 Next, in the Solution Explorer, select and mouse right click on the PACKAGE project. A pop down menu appears. The NSIS installer is generated.